If you are looking for something different, something that does not include a long car ride, or standing in the heat just to enjoy a five-minute ride at an amusement park, then a cruise vacation is an excellent solution. Today, a number of cruise lines have designed special trips just for families. Parents and children alike will be pampered to while having a great fun time in the sun. With so many activities, a family cruise offers many different dynamics so everyone has a great time. Travelers will find that they have so many activities on board for everyone that they may want to divide up so everyone can explore their own niche all on their own. During the day, mom and dad can lay out by the pool, take golf lessons, gamble in the casino, or be treated like royalty at the spa while the children are catered to with special children’s programs. Still, the traveling family can join back up around some awesome dining options later in the day which is some of the best cuisine you’ll find. Never mind the meals are on water, the ice sculptures of these vessels make for interesting dining conversation and the younger children being cared for while mom and dad enjoy a night-out makes for a fun family vacation to be had by all! If you want to gamble on your once a year vacation and the family wants no part of it, then a cruise can be a great choice because the casino action is just as much a part of the daily life on the floating mega resorts as the casino resorts on land. The only difference is that the casinos on land have more square footage and due to the rising need to keep up with the competition; the rooms are likely far more extravagant. 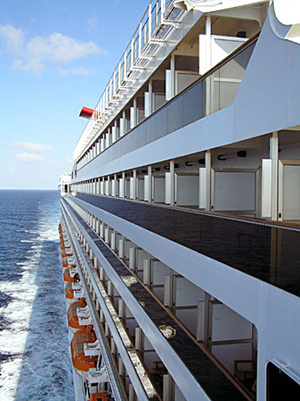 Still, cruising is better suited as a vacation for the family who has a gambler among them! With so many different destinations, lengths of cruises, and price ranges, you can be sure there is something perfect for you and your family. From the moment, that you walk onto the ship until the day that you go home you will be impressed! The ship has dancing for young and old, Broadway type shows, unbelievable excursions, swimming, and food, food, and more food. 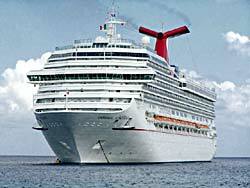 Carnival Cruise Lines offer the best vacations for the multi-interests of the family. Affordable and fun, you will be impressed by all Carnival has to offer. All of the staff members onboard the ship have been professionally trained to ensure every persons experience is the best is can possibly be. Nothing compares to the value of a Carnival Cruise vacation. Because on a ‘Fun Ship’ cruise, one low price covers just about everything. All your meals are included. Every shipboard activity is included. Even the entertainment is included. Parents can enjoy massages, loofah treatments, saunas, pedicures, manicures, micro facelifts, soothing masks, and much ore while the children are playing in their own programs. Music is also a big part of the family cruise on Carnival to include genres from rock and roll to country to big band and everything in between. Then, there are first run movies in the cabins or the children can join other children for movie time and popcorn in their own private theater. Of course, the swimming pools, 24-hour pizza, and Broadway shows add to the excitement onboard the Carnival Cruise Line. Other activities for the family include talent shows, games, arts and crafts, and education programs. Another of the many benefits of taking a family cruise ship vacation is the fact that almost all cruise ships have onboard childcare. If you are traveling with small children, these childcare centers may allow you to have private moments by yourself or with your spouse. Within a few minutes, you could drop your child off and be on your way to pampering yourself. Keep in mind that all of the programs provided specifically for the children are under strict supervision of competent staff. These staff members are not just trained but have years of experience working with children, so you know that your child is always in safe, reliable hands. With this, you can take in an adult comedy show or late night dancing without fretting. Disney Cruise Line goes beyond the call of duty to create magic for the entire family. Sailing with Mickey Mouse is always a great time for children. The ship itself is designed with the fun person in mind with vibrant colors and many of the favorite things associated with Disney. For instance, there is a 15-foot statue of Goofy, Donald Duck on the front of the Disney Wonder ship, and appealing sights throughout the ship. You will find family cruises on the Disney Cruise Line ranging from three to ten-days. Some sail near Orlando while others head further out to places like St. Lucia, St. Maarten, St. Thomas, Grand Cayman Island, Antigua, and Cozumel. Of course, the excursions are just as exciting and with so many options, you can choose the type of excursion for the age of your children and their interest. The Disney Cruise Line also offers plenty of excitement for the older children with nighttime entertainment all with a family orientation. The shows performed are much like you would see at Disney World and the food on board is delicious with incredible diversity. Without doubt, Disney Cruise Line creates a wonderful family cruise that is worth every dime. The family cruises on Celebrity Cruise line feature dedicated staff of eight to ten youth counselors along with a lifeguard and supervisor. What makes the Celebrity Cruise Line so unique is that all of the counselors are trained in child psychology, child education, child development, and child recreation. Then, programs are offered for children ranging in age from three to six, seven to nine, ten to twelve, thirteen to fifteen, and sixteen and seventeen. While the adventure of the cruise is exciting enough, keep in mind that Celebrity also offers science journeys, junior Olympics, summer-stock theater, treasure hunts, magic lessons, clown parties, and so much more. In fact, these and other programs have received a number of awards, making this a great choice. The accommodations for families are comfortable and roomy as well. Therefore, in addition to getting a restful night’s sleep, and enjoying some incredible excursions, you know the children are entertained, safe, and happy. Keep in mind that not all Celebrity ships offer the family cruise programs so you will need to make sure when booking that you choose the cruises geared towards children. Celebrity Cruise Line is most famous for its four-tier family program, which provides entertainment and activities for everyone. In other words, activities and entertainment are suited for each age group. There are clubhouses, teen centers, swimming pools, and even swimming pools all designated toward younger children and teenagers. However, the parents receive just as much pampering and programs too! The Royal Caribbean Cruise Line also offers a great program to make the cruise fun and exciting. For example, the Adventure Science program offers children an opportunity to learn and participate in science experiments coupled with crazy entertainment. With this, the children will have the chance to create with Crayola Crayons, enjoy story time, and perform arts and crafts projects, and so on. In addition, one of the ships called the Freedom of the Seas now offers six family-focused cabin categories, which is the perfect solution for families with many kids. Because of the choice of programs, cool activities, and excellent supervision, we see more and more families now turning to Royal Caribbean Cruise Lines for their family travel. Even the excursions with this cruise line are geared toward parents with kids. You will never run out of things to do since there are so many things happening. Between ice-skating, talent shows, bingo tournaments, rock climbing, miniature golf, and surfing on a wave simulator, you can be sure everyone will have a memorable vacation. If you’re single, you might want to consider a “singles cruise” like one offered by SinglesCruise.com. There are also plenty of websites such as CruiseMates that have a bargain finder, where you can say what you are looking for and agents will then contact you with the best deal. Cruise lines like to keep their customers and many lines will offer you incentives to book for the following year when you are on-board. Typically you can expect to get a decent amount of money as on-board credit which will mean that you get the benefit of your early booking next year. Most lines also offer loyalty programs, so inquire about these on board, too.